We have used T-Bags for years on our own bikes and fully endorse these products. 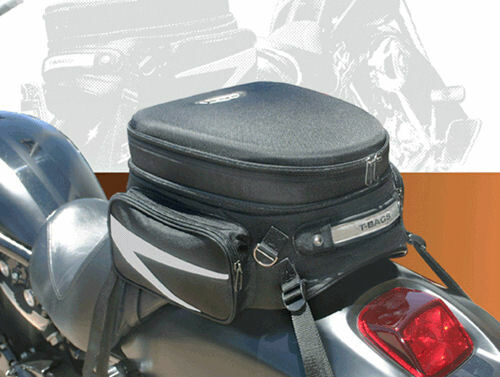 A hard (keeps shape when empty) bag with a rubberized arch bottom that minimizes slippage and conforms to the mounting surface as it is tightened. Designed for bikes with no backrests. 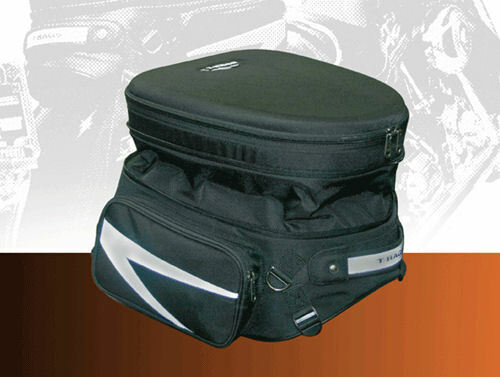 Fits most sport, sport-touring, and cruisers with no backrests. Fits most Harley- Davidson and metric cruisers, sport and sport touring bikes. 2 sheets of protective clear film, to protect your paint, included if required for your installation. A Lifetime Warranty is included with this product.